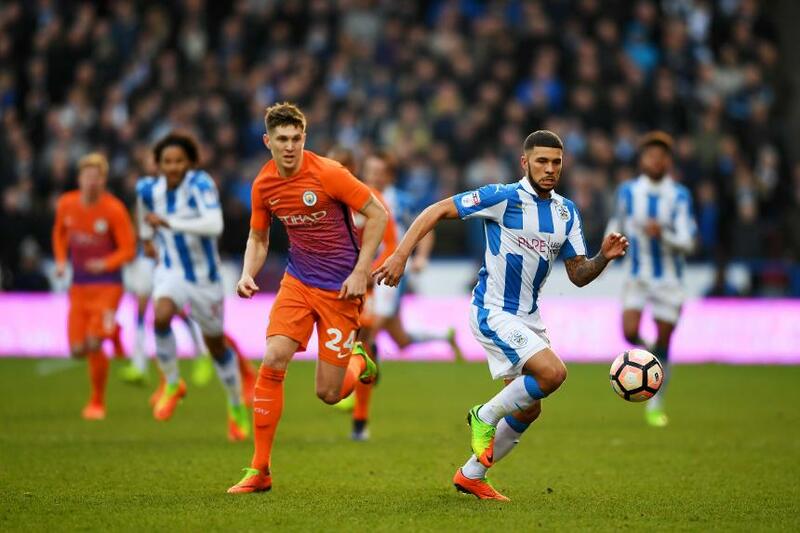 Profiling each of the promoted teams, Adrian Clarke continues his analysis of Huddersfield Town, with how an improvement on last season's goals scored will be called for. Huddersfield rightfully celebrated their promotion at Wembley Stadium last month, but it should not be forgotten that they ended the season with a goal difference of minus two. Not since Brighton & Hove Albion in 1990/91 had any team in the Championship play-off positions conceded more goals than scored. While promotion is testament to their ability to take three points from close-fought matches, it is also apparent David Wagner has plenty of work to do before his team can master Premier League opposition. One area they must brush up on is defending at set-pieces. Only two other Championship sides conceded more than the 18 goals they let in from corners and free-kicks last term. Although many of those conceded goals occurred before Christmas, it is an aspect of their game upon which the Terriers must continue to work. Starting slow is another problem Wagner must address. Losing concentration early on in matches was a consistent issue for Huddersfield, who leaked 32 goals in the opening 45 minutes. This was double the number let in by the division's champions, Newcastle United, while the other promoted side, Brighton & Hove Albion, conceded just 17. While they often found a way to salvage points from losing positions in the second tier, gaining 11 points in total, falling behind may prove more costly at the highest level. If every match in 2016/17 had finished at half-time, Huddersfield would have finished the season 14th. They must begin contests with brighter minds. David Wagner also urgently needs to add to his attacking threats. While Nahki Wells did well in leading the line last term, scoring 10 goals, the Terriers were promoted without a prolific goalscorer. Behind Wells in the No 10 position, on-loan Chelsea youngsters Izzy Brown and Kasey Palmer caught the eye with some sparkling displays, but the 20-year-olds scored only four goals apiece. The addition of two centre-forwards, plus an attacking midfielder who can chip in with goals, must surely be a priority for Wagner. It was this lack of a goal threat that hindered Huddersfield in their toughest away fixtures. While they beat Newcastle 2-1 at St James’ Park early in the season, Wagner’s side lost to all of the next five highest-placed teams on the road, failing to register a goal. Huddersfield’s smart tactics, impressive energy levels, and team spirit will only take them so far in the Premier League. To compete properly they must add significantly more goals to the side.